Have a questions? Just looking for more information? Hopefully these will help. If not, send us an email at the bottom of the page. "What is a telemetric chamber?" Automated protocols give you the ability to automate cycles, fluctuations, and stable levels of CO2, temperature, and O2 within IRIS over any given period of time. This makes experiments involving hypoxia, heat shock, and ischemia easy to perform, explore, and reproduce. "How do I access my videos?" All videos are stored in the same location in the cloud on your Incuvers account. "What if my lab's WiFi crashes? Will I lose my experiments?" Nope. Every system has a local backup installed, so that even if wifi goes down, your experiments will continue recording. "Do I need a mobile or desktop app to access live monitoring?" You can access all the features of the Incuvers platform through your web browser on any device. This includes live monitoring of your cells, your saved videos, and protocol designer. "How do I move the dish?" There's no need to move the dish by hand. There is a control knob that allows for precise adjustments to your cultures. "What magnification is the imaging?" The incubator provides 20x imaging. "Can it do fluorescent imaging?" Yes, it provides 488nm Green fluorescence (GFP). "My lab is packed full of equipment. How big is it?" 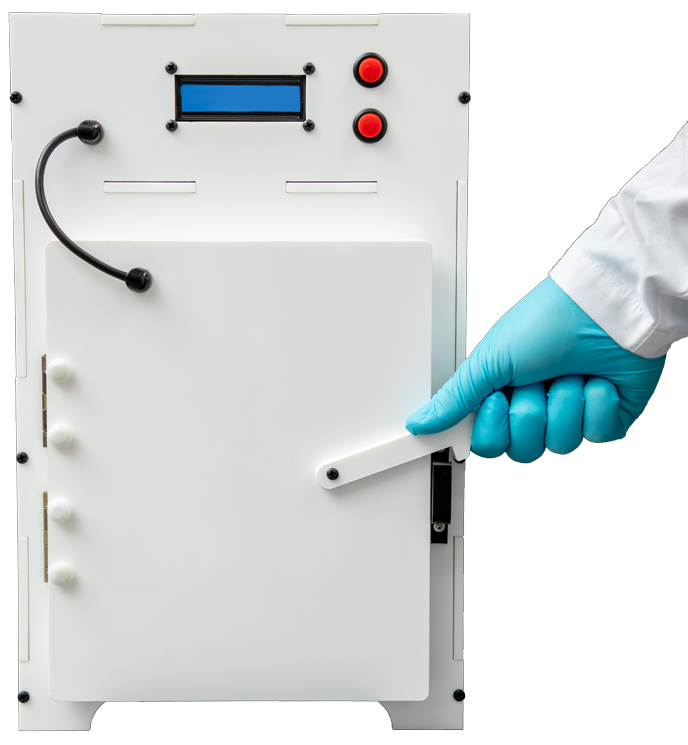 It is the most compact CO2 incubator on the market. At 6.6L and less than 20 Lbs, it fits easily within any lab, no matter how cluttered. "Can I connect a lighting system to the incubator?" Yes, with its Arduino open firmware system, you can connect and program any sensors. This includes lights, cameras, or anything else you want to integrate. You can also purchase your Model 1 Tri-Gas with a lighting system already integrated. We employ passive cooling in the Model 1 Tri-Gas, but we do have a multipurpose access port through which refrigeration coils can be connected.